Pip Wilson bhp: When two men meet up after a gap of years! - Jim Jenkinson - we are back in touch ! When two men meet up after a gap of years! - Jim Jenkinson - we are back in touch ! When two men meet up after a gap of years! I met up with Jim Jenkinson yesterday & it was wondrous. WE first collided when we were at a YMCA Staff Conference in Malta. He became active in the YMCA as a CEO of Rotherham YMCA. Being active in the Y always includes belonging beyond your locally based work. The YMCA is in Europe and almost every nation of the world. People belong to a local Y and then we discover Europe & the World. This is so stimulating and creative. We have a world wide family. When the iron curtain came down the YMCA’s, who had been closed down under communism - and their buildings compulsory possessed by the regime, returned to its mission with young people & young leaders at it’s heart. The movement in the non-communist Europe came together to support the re-emerging YMCA’s. I joined the support group for the Bulgarian YMCA. They had no building, finance and only, if I recall right, had an ex member who was 80 years old - a great man. Jim and I met often at various events at home and abroad. He was appointed regional officer for the Midlands. Appointed by YMCA England and let loose to co-ordinate the work in the region. Jim got me involved in facilitating training - used in joint conferences with CEO’s and Chairs of his local YMCA’s. ALSO integrating young hostel resident and young members - ALL TOGETHER with CEO’s and Board Members. So many experiences of working together until he moved on to become a teacher. So our meeting was full of passionate story telling. Updates & reflecting on the past too. I can’t do him credit here. I can’t do our time together credit here either. 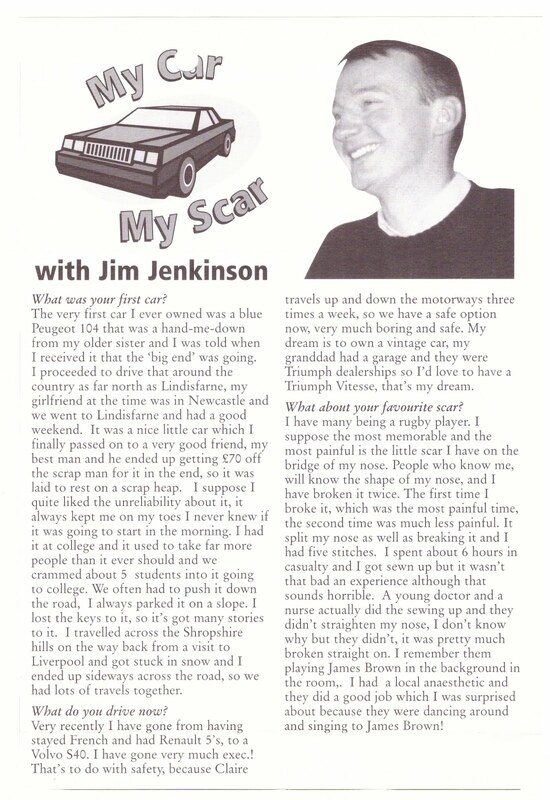 THIS is a fun Q&A I did with Jim some years ago when I was Editor of a YMCA Staff Magazine backing the day = I love questions !